Where do I begin? Incredible. I don't think we could have pick a better pair to photograph our wedding. The photos turned out stunning, better than I ever could have imagined. They were so willing to embrace our odd photo ideas and they both totally understood the look we were going for. Such a perfect pair, I've recommended them to everyone so far. We had Hayley and Jessie photograph our wedding and they were so great to work with! They are both so talented and I love how each photo is so artistic yet captures our relationship. They are both very professional and were always quick to respond to emails and were very organized going into the day. One of my favourite parts of For Always Photography is their full day coverage which definitely our minds at ease knowing our photographers weren't going to leave and miss important parts of the day. Overall we are so thrilled with our pictures and feel like our day was captured perfectly. 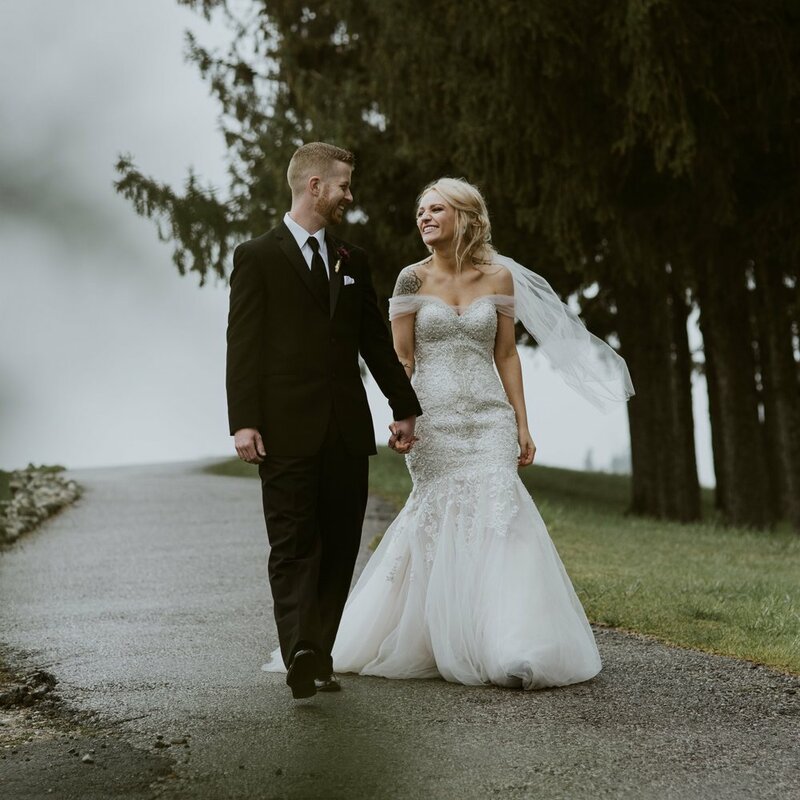 We chose to hire on Hayley and Jessie from For Always Photography to photograph our wedding day and couldn’t have been happier with them and the photos! They were very easy to book and gave us lots of information before the big day to make sure we knew how to schedule. We had multiple locations in the morning with different families for both wedding parties which both Hayley and Jessie drove to together to capture the unique moments. Throughout our entire day they made sure we got all the photos we wanted with each of our families and friends, even in the rain! A few weeks after the wedding we received a beautifully packaged box which had a USB drive in it that held all the incredible photos. We can’t recommend Hayley and Jessie enough!